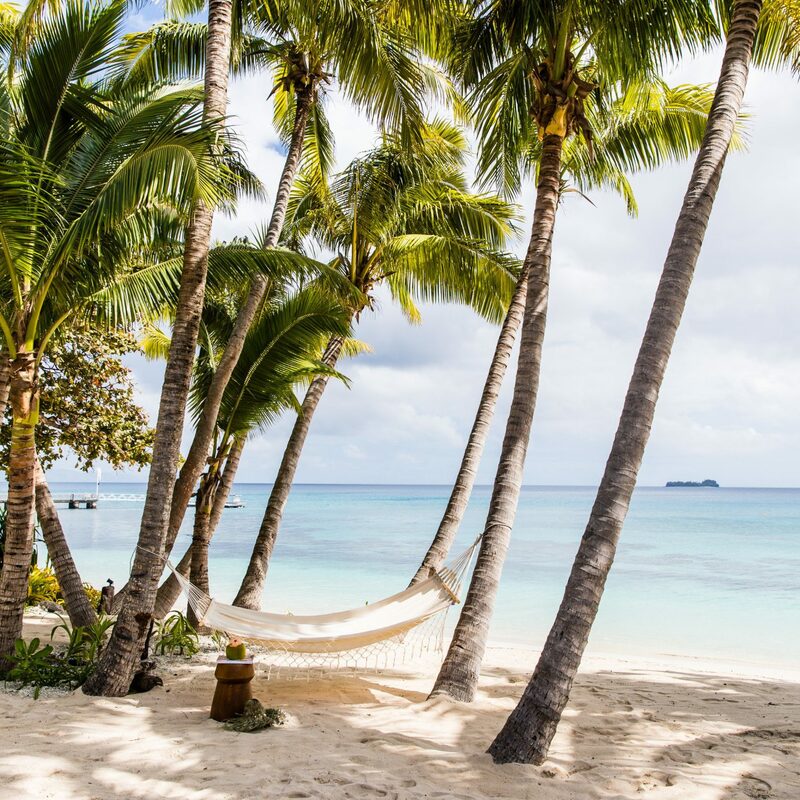 The days are getting longer and the breezes are blowing a little harder, which means sweater season is here, Jetsetters. 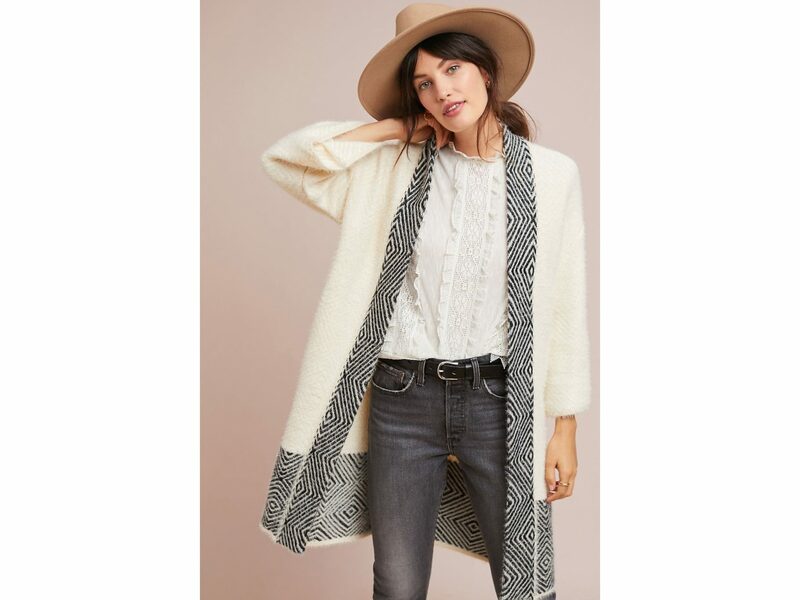 We can't wait to cozy up in over-sized and longer silhouettes made with fun colors and patterns to liven things up. 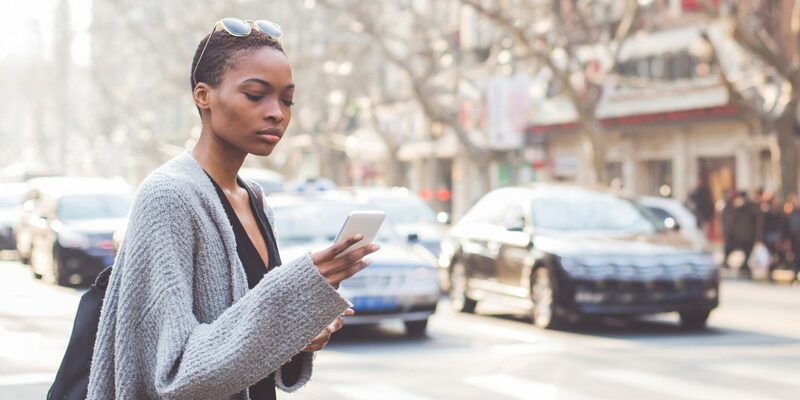 Here, the best sweaters for fall 2018 to wear at home and on the road. 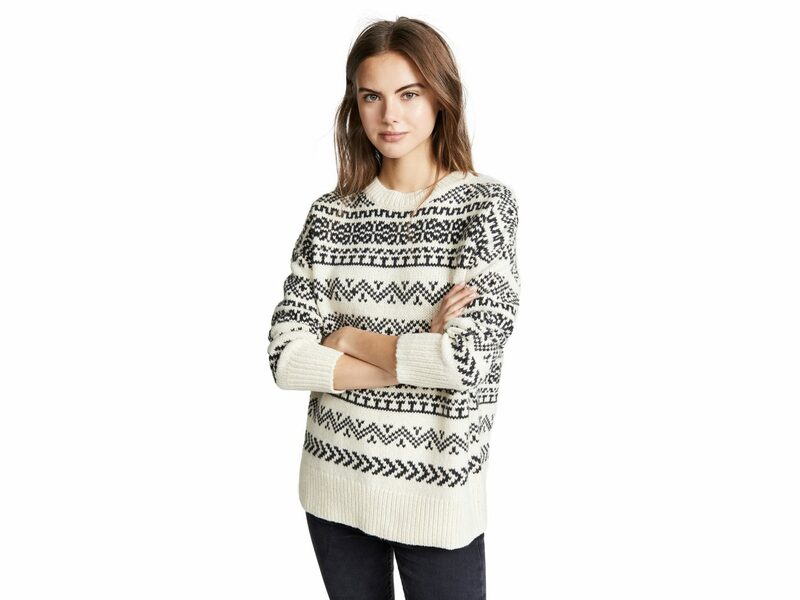 For a casual vibe with decorative, festive patterns, a Fair Isle can do no wrong. If you’re looking for cozy, comfy, and PINK, this is it. This chunky, dark green sweater can do no wrong for fall. 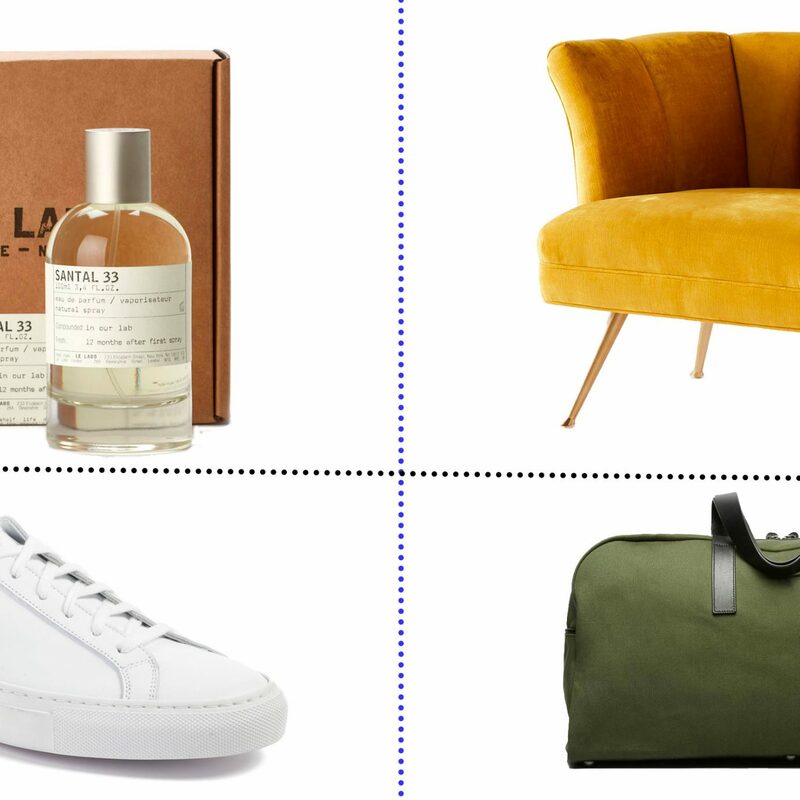 Pair it with your best denim and brown leather boots. 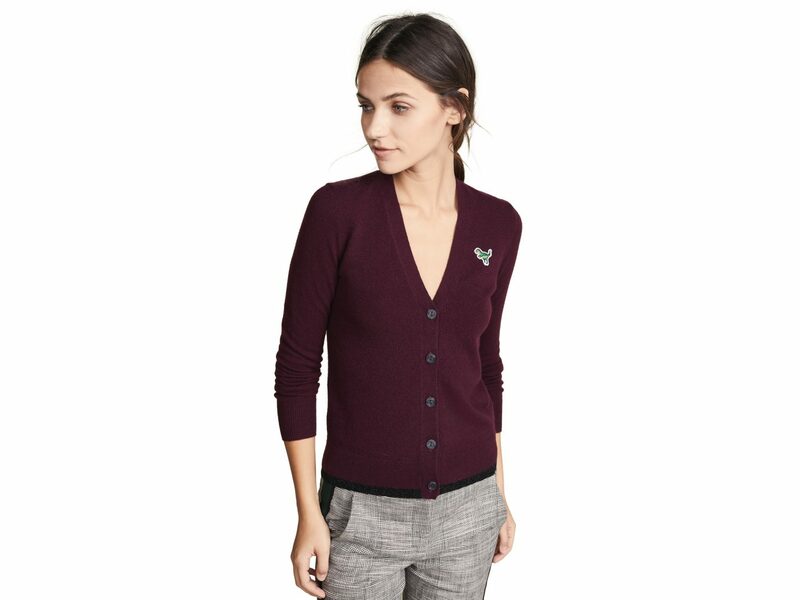 This burgundy v-neck cardigan works well both as a stand alone top, or as a layer over a thin blouse or tee. 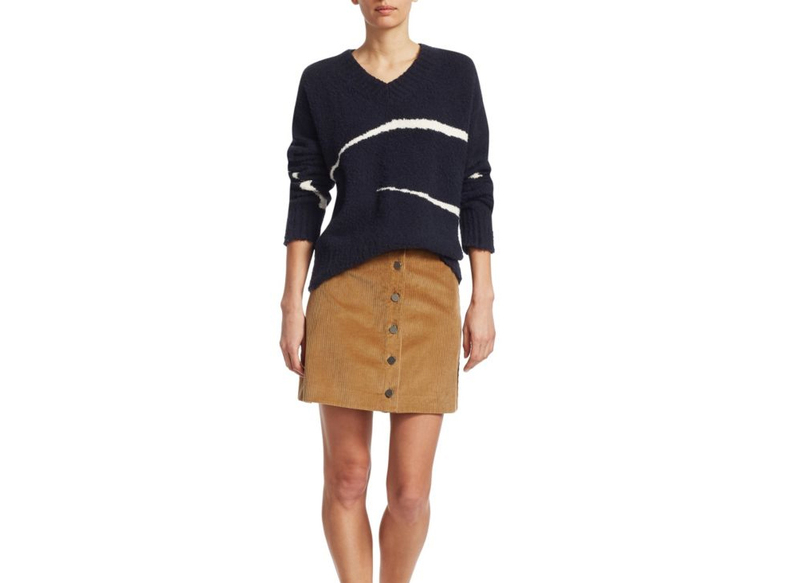 We love the subtle, abstract white stripes on this navy sweater. Is it a sweater? Is it a jacket? Whatever it is, it’s good thanks to its black-and-white graphic border. 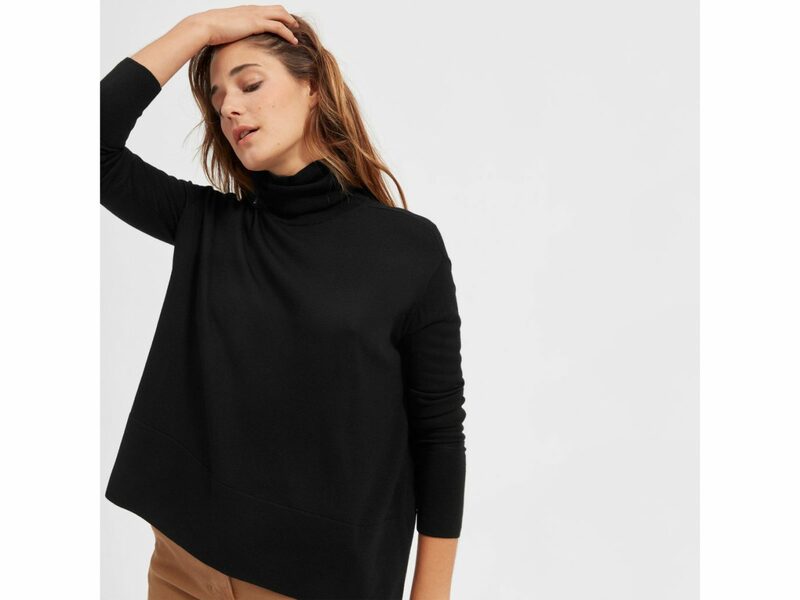 Everlane is always good for classic wardrobe staples at an accessible price point. 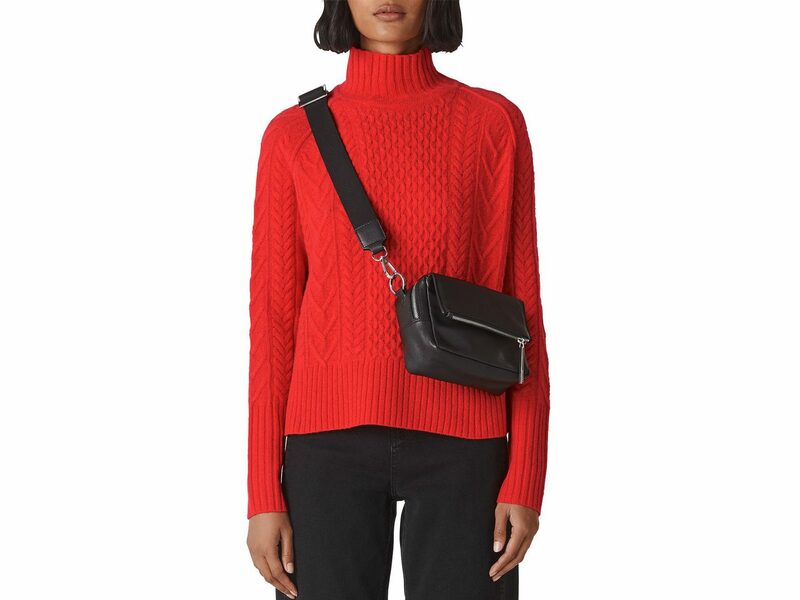 We love the boxy shape of this turtleneck; it's cozy without being too bulky. 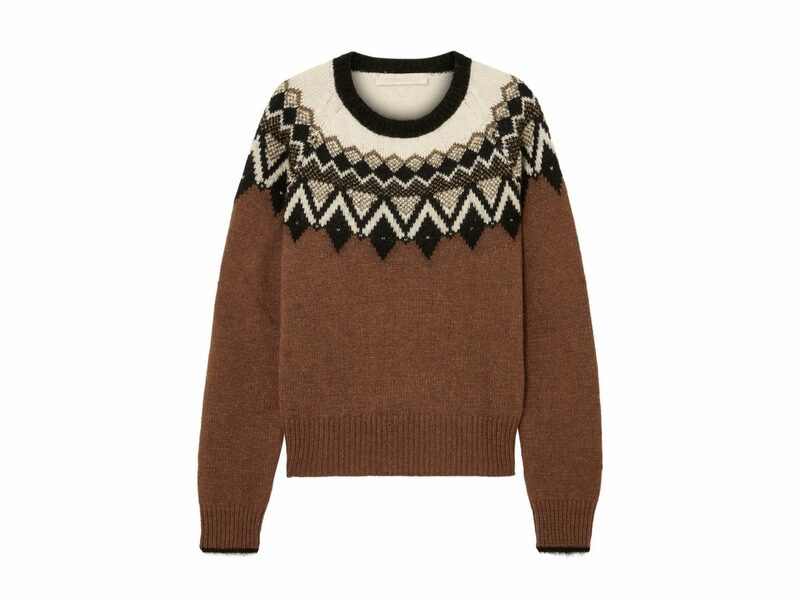 The various striped patterns on the Etoile Russel sweater were inspired by '80s skiwear. What's not to love? It's time to head back to college. 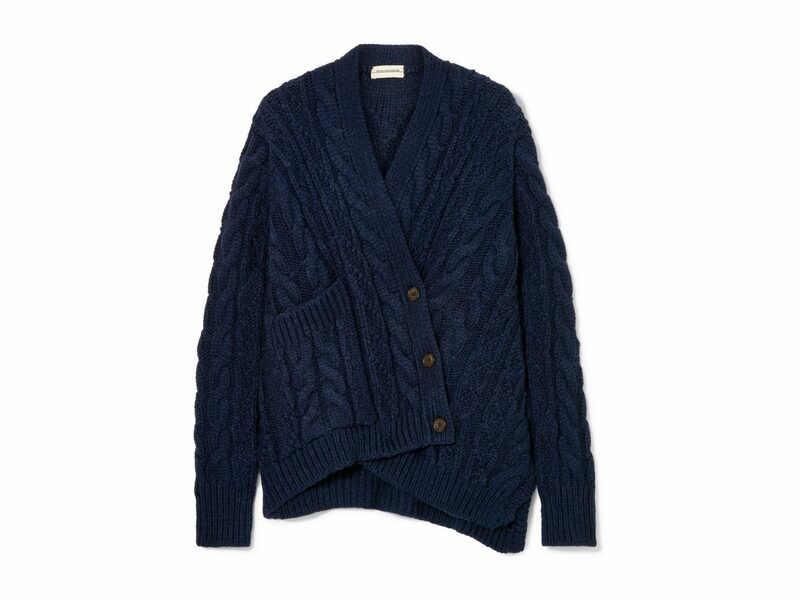 The asymmetric front buttons are a quirky detail on this super cozy cable-knit sweater. We're all about the beautiful neck pattern on this Vanessa Bruno sweater--and the gold threading elevates the look. A bold and beautiful red is always a good way to shake up a wardrobe of neutrals. 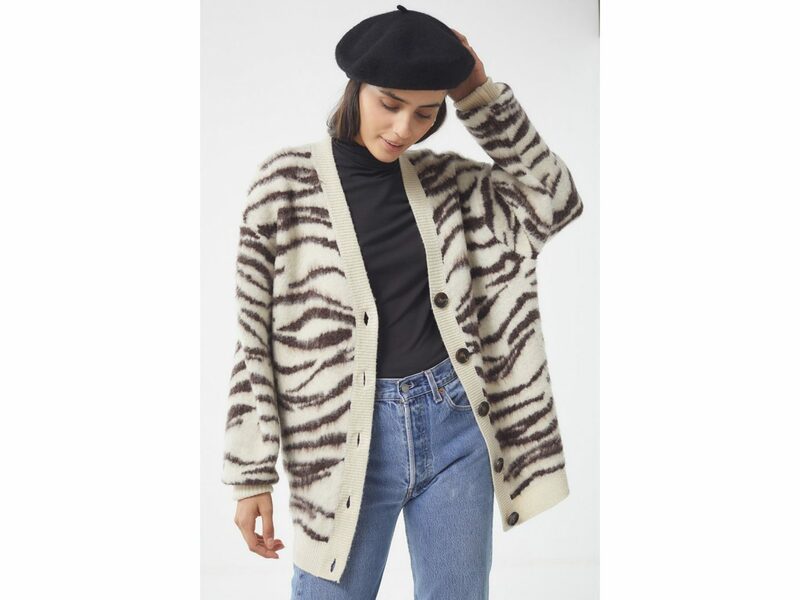 Edgy meets cozy in this on-trend animal print cardigan. 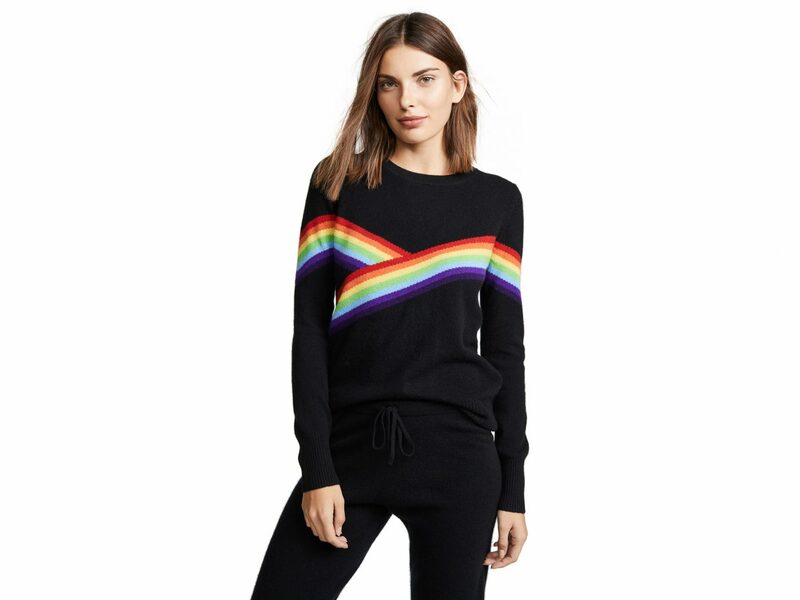 For the woman with a little edge, could this geometric rainbow be any cooler? We're totally sold. 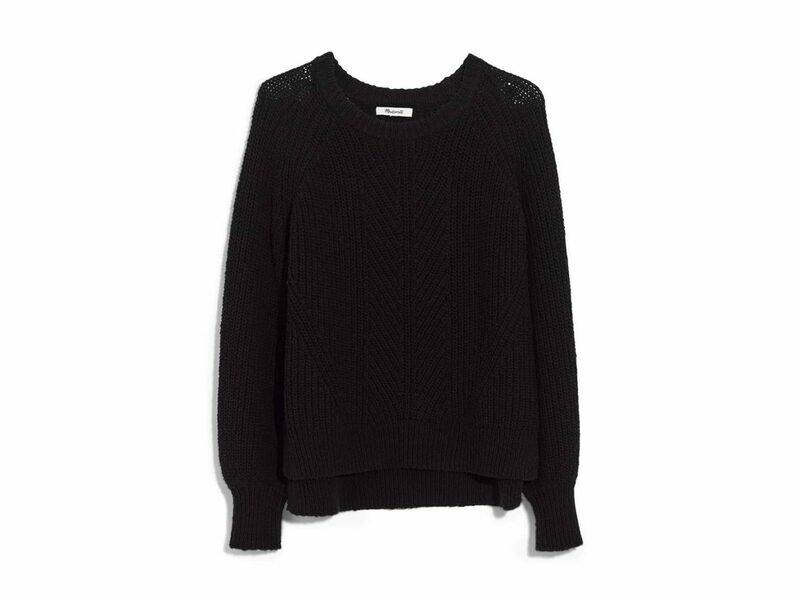 If you don't have great black sweater for fall, now is the time. 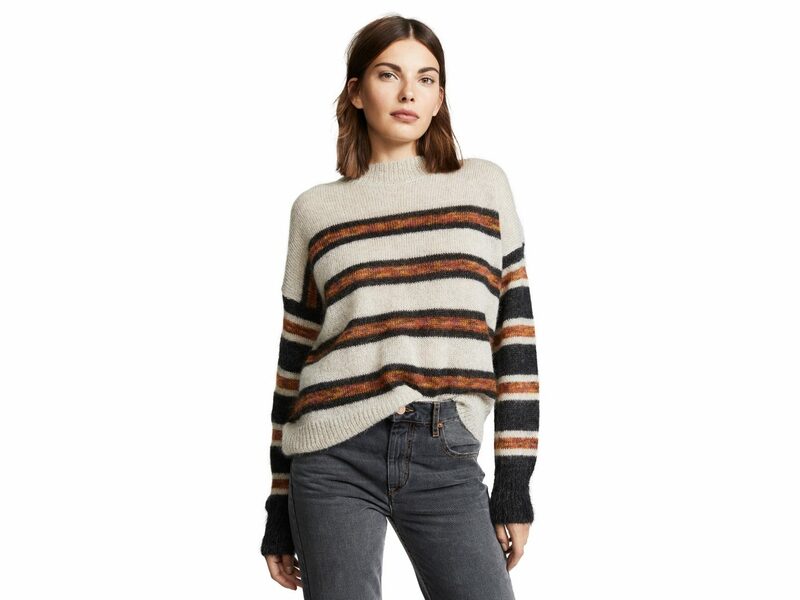 Madewell’s Balloon Sleeve Pullover is a modern update to the classic chunky knit sweater.